During his brief tenure, Davies drew up the first catalog of the College library, then housed on the second floor of Nassau Hall — 1,281 books in all. He was an ardent promoter of the library. “A large and well-sorted collection of books is the most ornamental and useful furniture of a college,” he said. 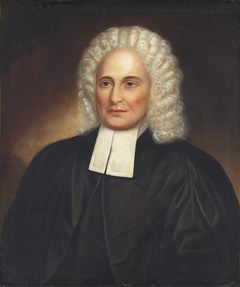 He urged students to go beyond the “narrow limits” of their assigned reading and encouraged them to read widely after graduation so they would continue to “investigate Truth; and guard against the stratagems and assaults of Error.” He believed that reading good books by authors with differing points of view would keep them modest. * Jacob Green served as acting president from 1758 to 1759.